Brighten up your belly from a select choice of banana bars. We have a variety of unique sizes and designs. Its name is derived from the shape of the bar connecting the balls which is similar to that of a banana. The Silverstall was not one of the first retailers to sell such banana bars in the UK. it was the first. 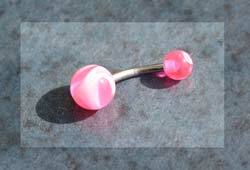 We do have a much larger selection of body jewellery and belly bars in our Plymouth shop. Aside from a greater range of sizes we also stock many ear stretchers and other specialist items rarely found elsewhere. Sterling silver nose studs. 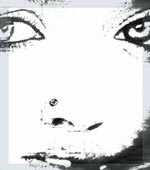 These studs which are specially made for nose piercings are sold in sets of three with white or colourful crystals. A selection of precision cast, threaded spikes and balls for all types of body jewellery. The steel balls are an essential and iconic part of body jewellery design. Some are plain whilst others have a jewel or crystal inlay. The internal threads of most balls are 1.2 mm or the slightly thicker 1.6 mm. If you unsure what size you have ask your original piercer what size was used or alternatively use a calibrated slide rule which can be purchased quite cheaply from discount hardware stores. Surgical steel flesh tunnels for ear piercing's together with twisters, barbells and an assortment of other body jewellery. Tunnels in particular have found their way into mainstream fashion styles and can no longer be considered a cult jewellery item. All our body jewellery is made from either high quality surgical steel or titanium. For the purposes of hygiene and general health safety issues it is essential the items are kept sterile and therefore once received please ensure they are cleaned in accordance with your piercers instructions. We also endeavour to ensure that all metals used comply with nickel regulations. The lip ball or labret, is the preferred method for accessorizing an area hitherto left blank. Body Jewellery has been around since biblical times. In fact in Genesis reference is made to a nose ring being given to Rebekah by Abraham. It has spanned over many centuries and among many cultures. 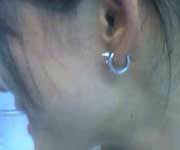 Ancient Aztecs stretched their ears with tunnels in much the same way that modern culture has today. Never attempt to pierce yourself. Only use a qualified piercing studio equipped with all the necessary equipment to ensure that the piercing is kept sterile. Please also check you have the correct size of item before making an order in particular make sure it is the correct gauge i.e. 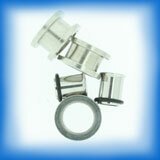 is your piercing 1.2 mm or 1.6 mm wide. Care should be taken to ensure the items are sterilized before use. site map copyright silverstall jewellery 2018. www.silverstall.com The CEO is Jeffrey Hall.